If your wallet can handle it, sky's the limit when it comes to personalizing your Macan via Porsche's bespoke division. Those who are shopping in the upper end of the automotive spectrum rarely go with base models, which is why many luxury automakers are offering a ton of ways to spend more on options for the desired model. Case in point, Porsche has its own bespoke division that goes by the name of Porsche Exclusive Manufaktur and some will remember they’ve worked on the Macan before. Back in October 2017, the pre-facelift Turbo version received all sorts of visual upgrades inside and out to create the Macan Turbo Exclusive Performance Edition – a €166,091 special edition with an asking price that exceeded two base Macans by about €4,000. 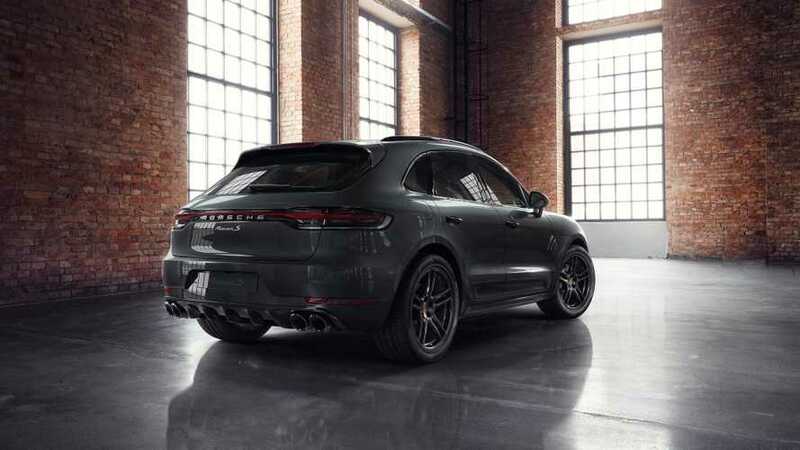 Now, they got their hands on the recently launched 2019 Macan S and decided to go with a Volcano Grey Metallic paint and 20-inch Turbo wheels featuring the same hue and fully lacquered spokes. The Cayenne’s baby brother was further upgraded with the SportDesign package encompassing a different front section in the body’s color, along with painted side sill panels, and some subtle tweaks at the back like the motorsport-inspired diffuser. 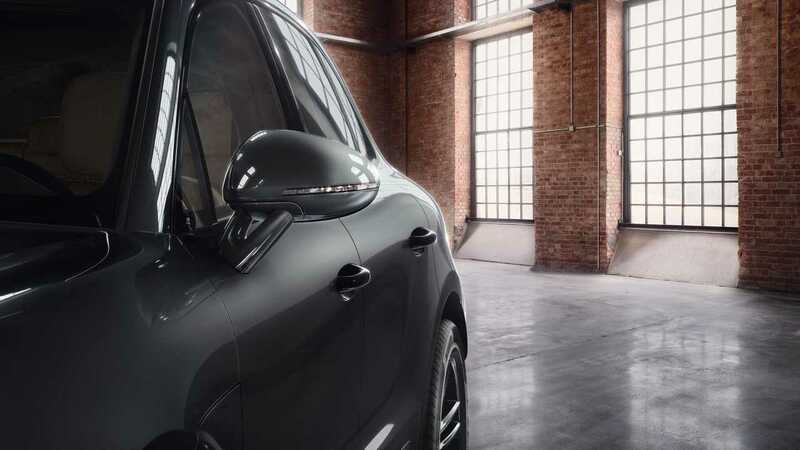 Just to make it a bit more special than a regular Macan S, Porsche gave the door handles a glossy black finish and a similar look for the quad exhaust tips at the back. The sporty crossover’s interior is just as special as the exterior, with Porsche Exclusive Manufaktur opting for a two-tone leather upholstery in Black and Mojave Beige with black seat-center strips for extra effect. Leather has also been applied onto various other areas inside the posh cabin, such as the steering column, seat consoles, and even on the edges of the floor mats. Spend extra and you can ask Porsche to put its badge onto the headrests and central armrest or you can go for this Anthracite Chestnut package with a wood décor first seen last year in the Cayenne. At a time when customisation is increasingly important in the premium segment, the Porsche Exclusive Manufaktur plays a crucial role for Porsche. The objective that this business area pursues is fulfilling individual customer requests, guided by the principle: “Your inspiration. Our passion.” Its product range for the new Macan was also developed with that attitude in mind. The Macan S, with a Volcano Grey Metallic exterior, incorporates additional equipment that differentiates the vehicle from the series model both technically and visually. The optional sport exhaust system with distinctive tailpipe design in silver or black, represents an example of a technical vehicle optimisation. Sport exhaust systems create a sportier and more emotional sound than is achieved in series production systems, and here the powerful acoustic effect can be activated using a button on the instrument panel in the centre console. The external sound is optimised by a special sequence of the exhaust supports and rear silencers included in the exhaust system. This helps to ensure that all Exclusive Manufaktur sport exhaust systems are legally compliant with noise-related standards. With its sporty proportions and compact design, the Macan is an athlete among SUVs. More than any other element, its optimum height-to-width ratio gives it a muscular and youthful appearance. The vehicle exterior has also been enhanced with features including the SportDesign package, which – based on the example of the one-off Volcano Grey piece – consists of a unique front section finished in the colour of the car, painted side sill panels, and components on the tail end. The attuning together of these elements reinforces the vehicle’s character and differentiates it from series-produced models. The lines of the distinctive front section are more dynamic and place greater emphasis on the side air intakes, while creating the effect of a striking three-dimensional sculpture that also highlights the lower air intake, showcasing just how sporty this model is. The new diffuser has been borrowed from motorsport, and has strong, vertical ribs for a sportier and more assertive presence than the basic series-production diffuser. In order to further customise the vehicle exterior, components such as the exterior mirrors can be painted in the car colour, or the external door openers can be painted in contrast (high-gloss) black. The new 20” Macan Turbo wheels have been developed specifically for the latest-generation vehicle, but follow the characteristic double-spoke design of rims used on Turbo models: the use of parallel lines clearly structures and updates the rims. As a supplement to the series offering, the Exclusive Manufaktur presents a variation of the 20” Macan Turbo wheels, finished to match the car body, based on the example of the Volcano Grey vehicle. The colour of the fully lacquered spokes matches the vehicle for an impactful look. In addition, the wheel paint is sampled in an elaborate colour coordination process that is separate from vehicle painting, and paint-to-rim adhesion is put through its paces in several variant tests until the quality of the finish precisely matches the original pattern plates for the bodywork paint. However, Porsche wheels are not solely setting standards in terms of design, but also on-road safety and performance; no surprise given that the process leading up to Porsche tyre approval starts at the Nürburgring. The values determined there are used as input parameters for subsequent tests such as the Bi-Axial Wheel Test (ZWARP), in which long-term stresses are simulated using extreme driving methods. While the rims installed on the one-off piece and painted in the Volcano Grey Metallic exterior colour are produced ex-works and assigned directly to the vehicle, complete summer and winter tyre sets in selected finishes such as GT Silver, Platinum (satin), Black (high-gloss) or Black (satin), are also available through Porsche Tequipment for retrofitting. While the exterior differentiation is significantly facilitated by the uniquely designed and painted components, individual elements of the interior space are enhanced by the processing of premium materials, and/or offered all in a single colour that differs from the series version. The goal of sample configuration is always to bring together all materials and colours to create a harmoniously coordinated overall presence. For example, the Macan S in Volcano Grey showcases the new bi-colour leather equipment in Black and Mojave Beige. The lighter colour replaces the familiar Luxor Beige leather colour, and is part of the current series production colour range. The Exclusive Manufaktur creates emphasis with contrasting leather seat-centre strips in black. Based on the example of the one-off piece, components of the vehicle interior such as seat consoles, the steering column and the edging around floormats can also be executed in leather. Finally, rendering the clock dials on the instrument panel, the Sport Chrono stopwatch, and the safety belts all in the Mojave Beige interior colour creates a harmonious overall look. The Porsche emblem is also available for use in the customisation options from the Porsche Exclusive Manufaktur. This is formed onto the centre panels of the headrests on the front and outer rear seats, using a special leather embossing machine procedure. As well as leather, wood is also used as a premium natural product in the vehicle interior. The Anthracite Chestnut package is an innovative decor that was included in the interior wood range for the first time in the Cayenne introduced last year. In order to create the decor strips on the instrument panel and door trim, chestnut wood is coloured anthracite and small pieces of metal are inserted behind the veneer to create a special gloss effect. The veneer is back-injected and an aluminium inlay is inserted in the veneer, in a specially created slot. The panel is milled out and paint applied, then the panel is finally finished after remilling and polishing. Once complete, the decor panels are inserted onto the front and rear vehicle door trim.